When it comes to paisley, I can be quite picky. 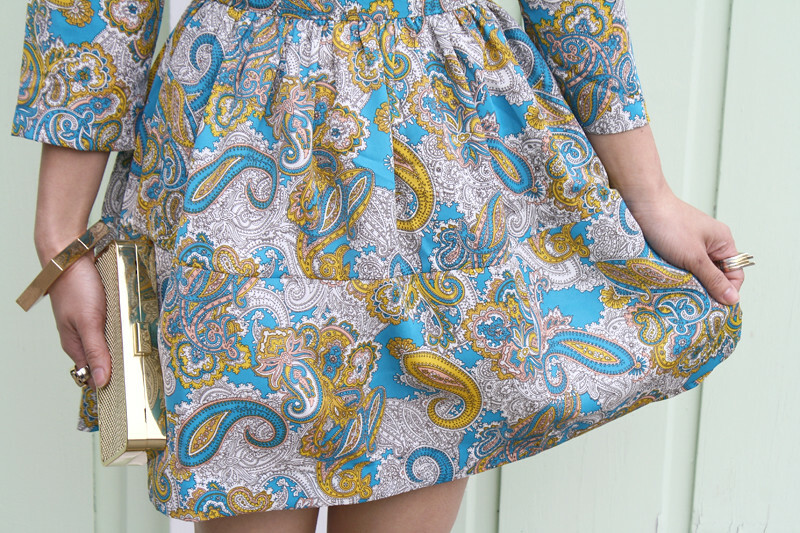 There are so many kind of paisley patterns out there, some are delicate and elegant but some are just plain awful and tacky. I picked up this perfectly tailored silk dress from H&M a couple weeks ago and it has the prettiest paisley print on it. I just love the colors! What's better to match this lovely dress than some sheer heart print socks and sparkly glitter pumps? 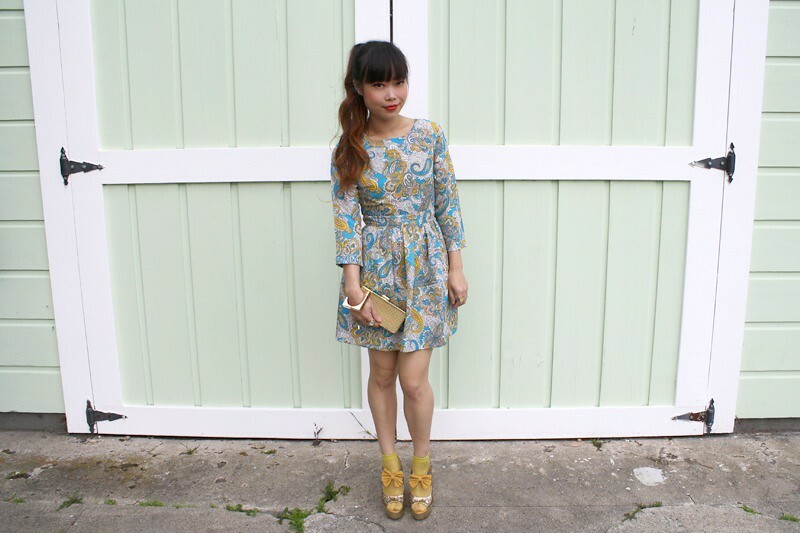 Paisley silk dress from H&M. Sheer heart print socks from F21. Gold glitter suede bow pumps by WildRose from Makemechic. 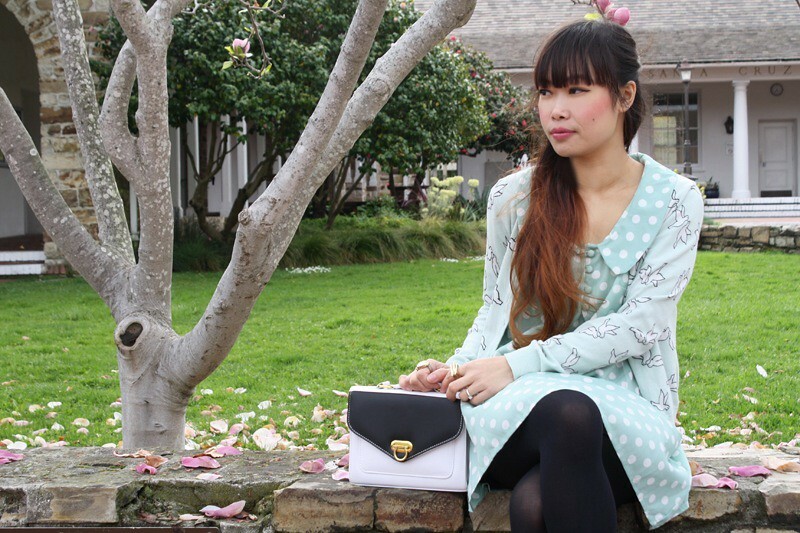 I continue to dress monochromatically, this time is mint on mint! Sticking to one color scheme is so much fun because you get to play with the same yet different shades of color. It has been raining on and off this past week so when the rain finally decided to take a break, we took advantage of it and went for a walk along the coast. 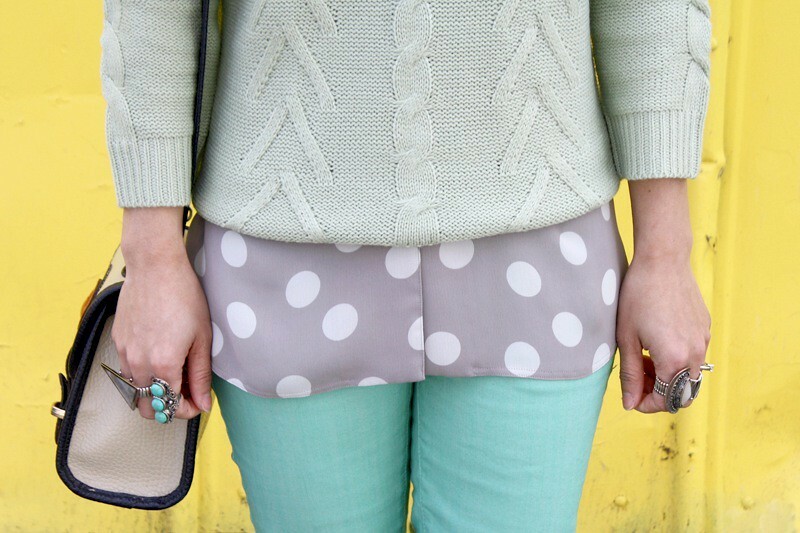 So, I guess I can say this is my taking-a-stroll outfit... vintage polkadots blouse, mint cable knit sweater, mint skinnies, and clear oxfords! 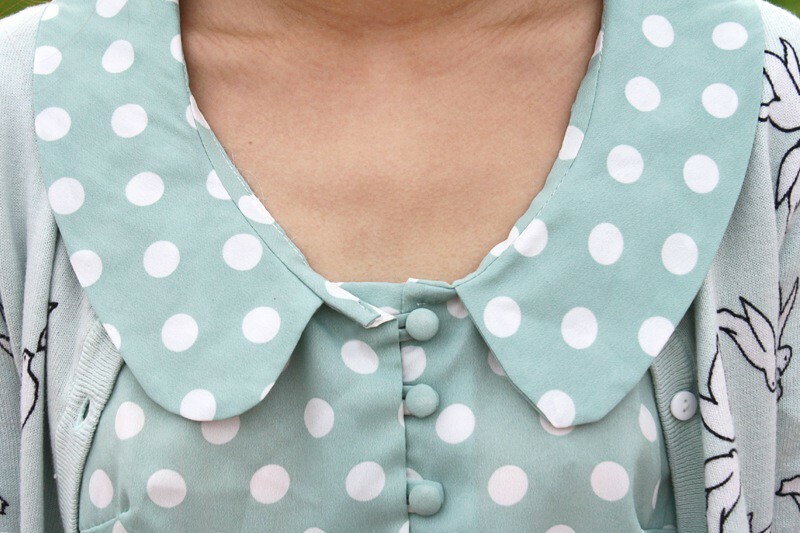 Thrifted vintage polkadot blouse by Due Deux Firenze. Mint cable knit sweater from F21. 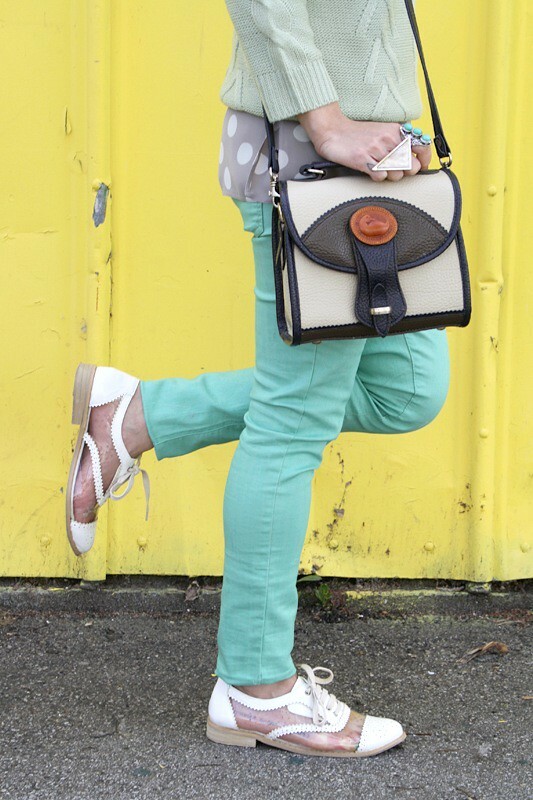 Mint skinny jeans from F21. 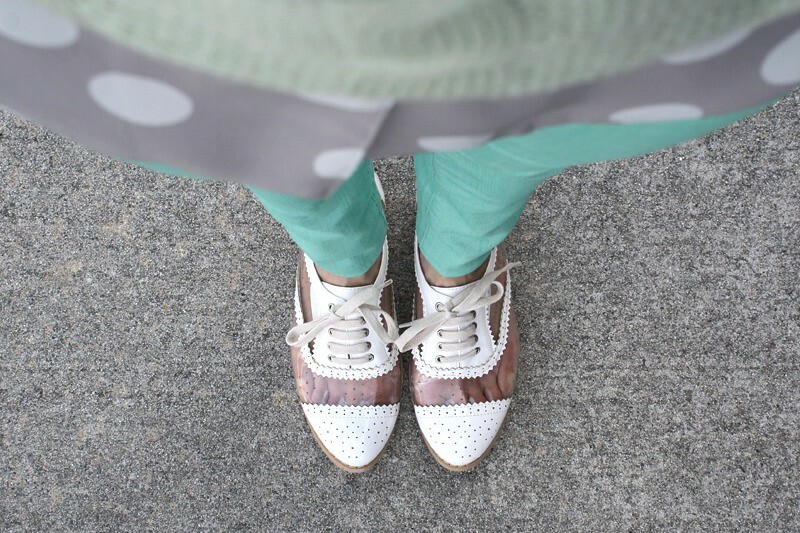 Clear and white patent leather oxfords from Hong Kong. Triangle abalone connector ring and wire wrapped ring from my work Sway. Vintage triple turquoise ring from Ebay. There are so much going on with this outfit, but it works because I chose a neutral color scheme so these elements are all very subtle. I thrifted this awesome vintage military blazer for two dollars, rolled up the sleeves and threw it over a simple stripes dress, along with tons of bracelets and rings. Instead of wearing a neutral pair of shoes to go with the whole neutral color scheme, I decided to wear something fun and colorful. These booties are one of the coolest shoes I own (although I do have LOTS of shoes). I mean, look at them! They are made of genuine leather! There are scallop details! There are grommets! And the laces end with tassels! I love them! Thrifted vintage military blazer by Scarlett. Scallop and grommet leather booties from Hong Kong. Ornate sunglasses from it's not her, it's me. Vintage gold woven bracelets, both, from Etsy. Gold and cream woven bracelet from F21. Rings from my work Sway and F21. Lately, I can't seem to get enough of monochromatic colorblocking, wearing the same color of slight variations. I love the blush knit top next to the peach skinnies, the softness of the top goes perfectly with the brightness of the pants. They are basically the same shade but of very different intensity. Of course I had to wear my m.a.c morange lipstick to match it all. And with a shaggy coat, funky sunglasses, and "The Stunning" platforms, I look like I came straight out of the movie Almost Famous. Vintage shaggy sweater coat by Sideffects from Ebay. 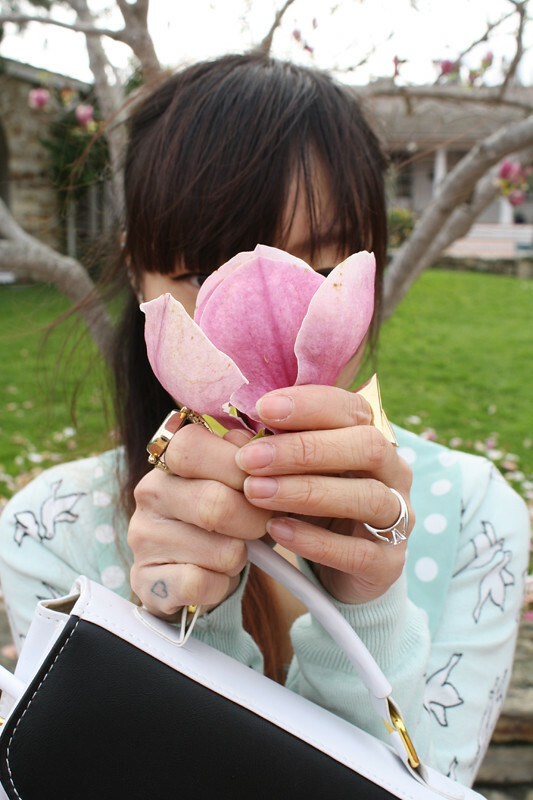 Blush knit top from F21. Peach skinny pants from F21. Jeffrey Campbell x LF exclusive "The Stunning". Baroque sunglasses from it's not her, it's me. Aren't these velvet wedges with an embroidered cat face just absolutely darling? Look at those ears! 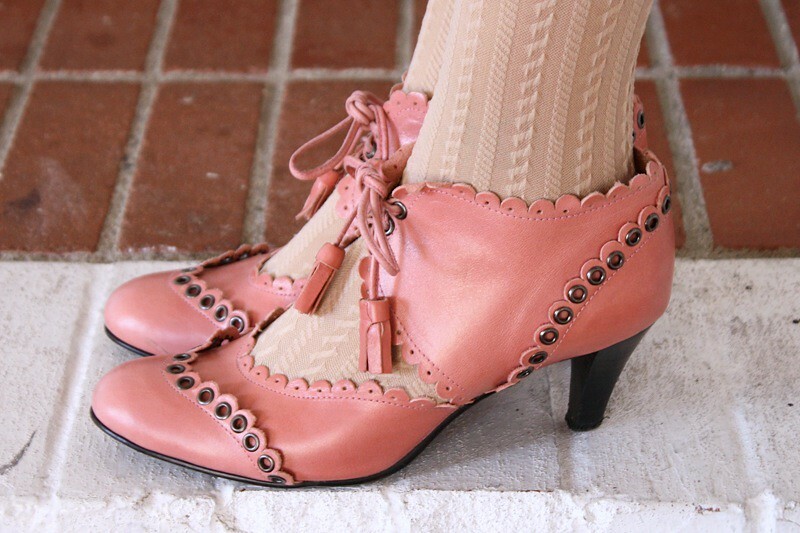 As a crazy cat lady, it is no surprise that I am falling head over heels for these shoes! 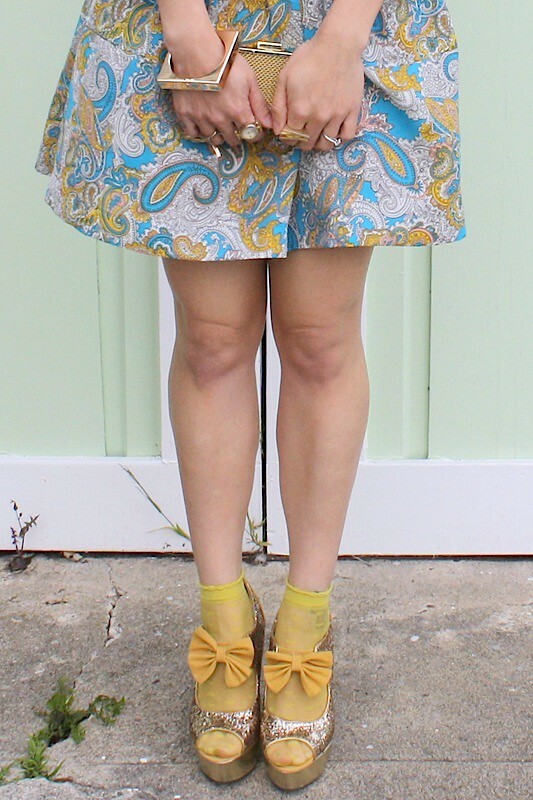 I paired them with a vintage peter pan collar wool coat, it was so cold I just wanted to look simple and stay warm! 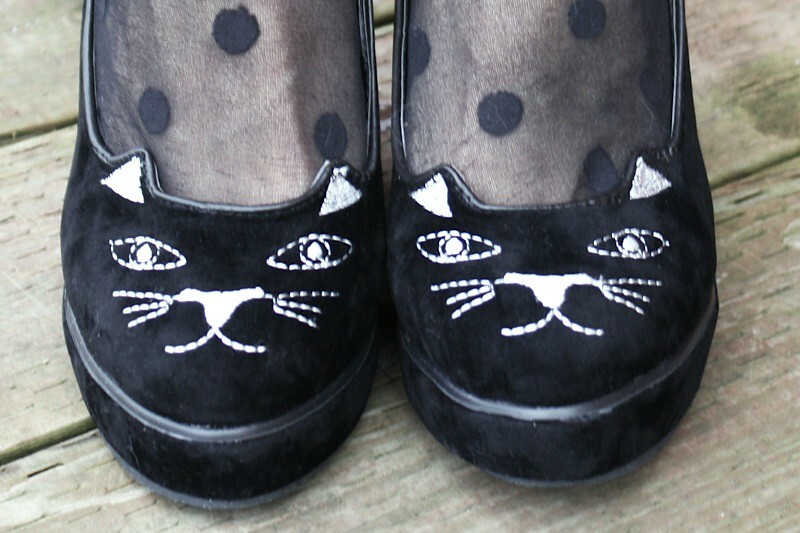 Oh, and did I mention that these cat shoes are available in my shop? They even come in three colors - black, red, and brown! Embroidered cat velvet wedges from it's not her, it's me. 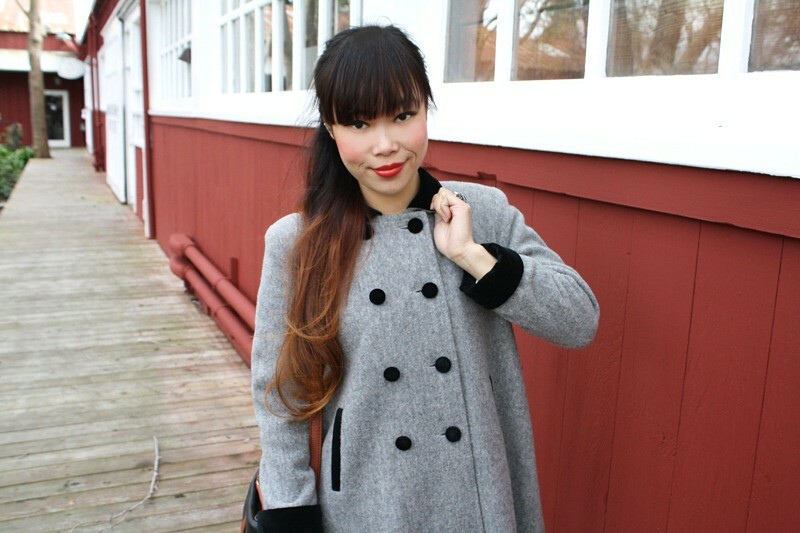 Vintage 60s peter pan collar wool coat from Thriftwares. Sheer polkadots tights from Hong Kong. 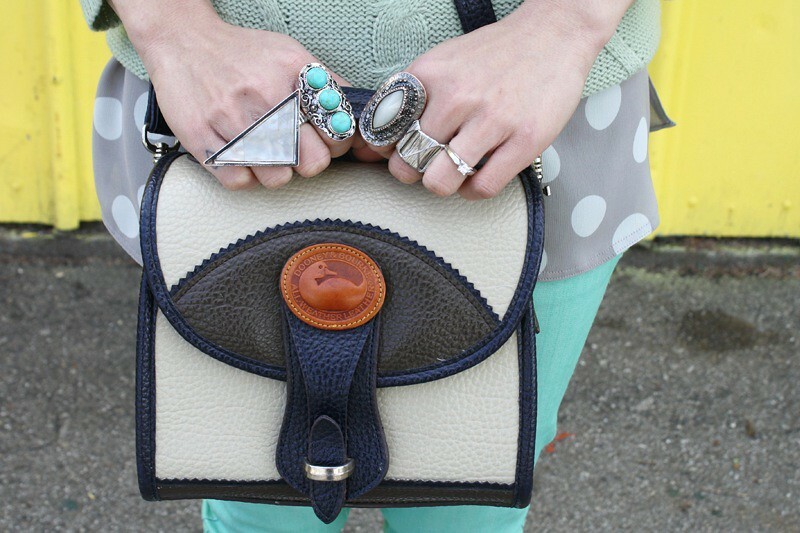 Colorblock leather handbag from my work Sway. Happy St. Patrick's Day! Why wear green when you can wear mint? While everyone is sporting the truest form of green, I decided to do something a little different and wear soft minty hues instead. And yes, I did it from head to toe! 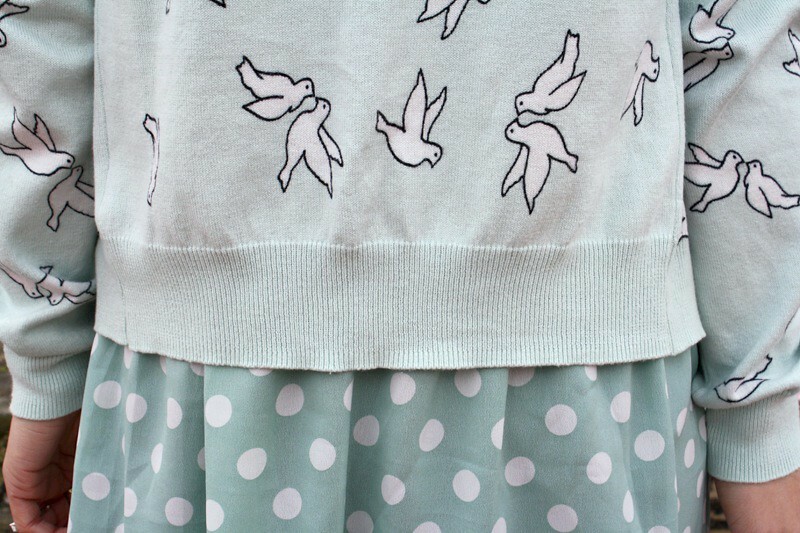 Mint dove print cardigan over mint polkadots dress with vintage mint shoes! 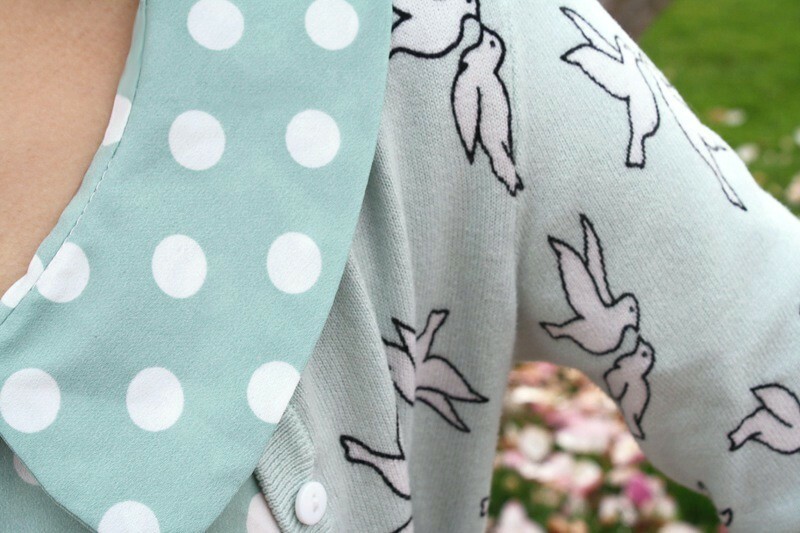 Mint dove print cardigan from H&M. 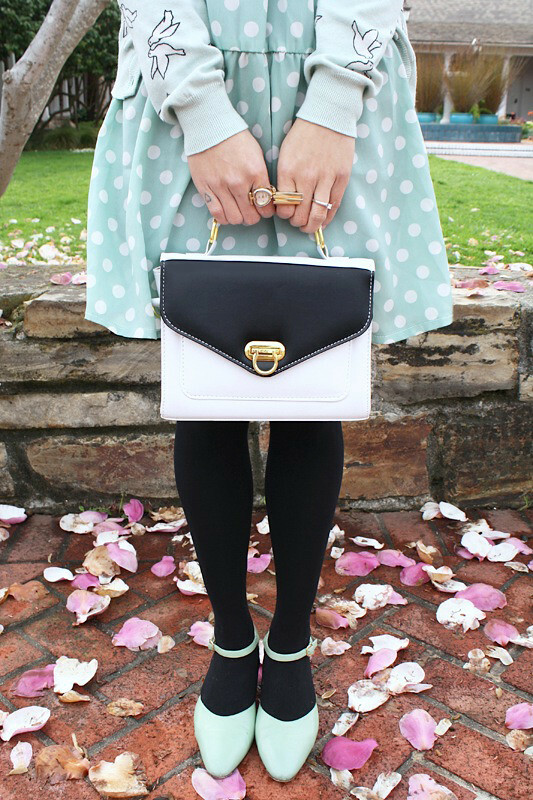 Mint polkadots dress from Hong Kong. 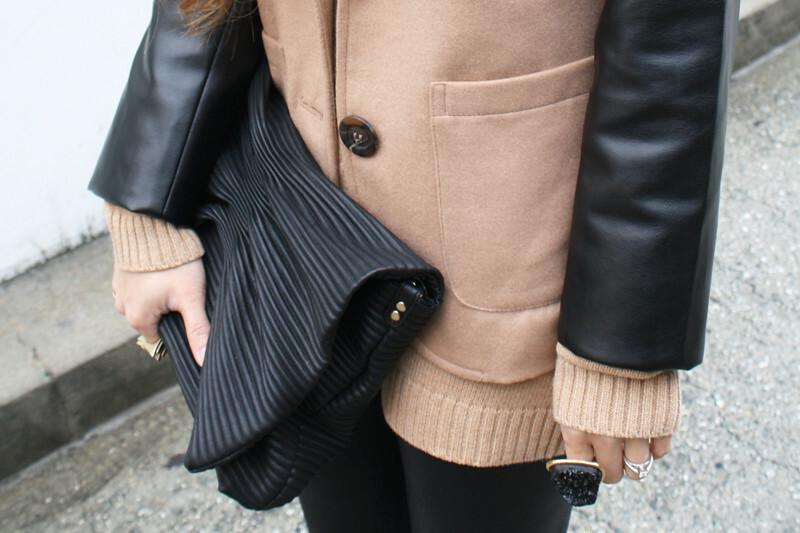 Black and white leather satchel from Hong Kong. 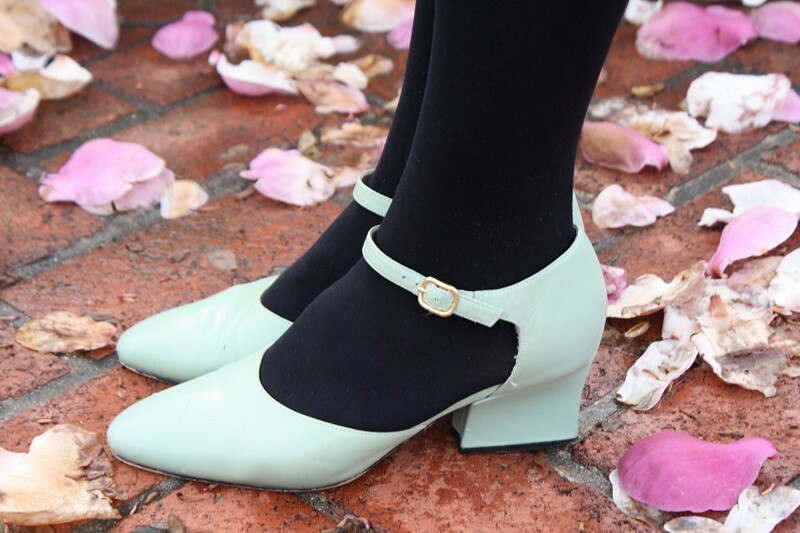 Thrifted vintage mint shoes by Jennifer Moore.